The Retro Bin: The Big Cartoonie Show (1999-2000) | TWINSANITY! Today the Retro Bin takes a gander at the last hurrah of the so-called Silver Age comedy cartoons at Kids’ WB!, the imaginatively titled The Cat & Birdy Warneroonie Pinky Brainy Big Cartoonie Show. I hear tell the person who came up with that name is the same person who named Denny’s Rooty-Tooty Fresh ‘N’ Fruity Breakfast. For those who don’t know, The Cat & Birdy Warneroonie Pinky Brainy Big Cartoonie Show, or The Big Cartoonie Show for short, was a compilation program that aired on Kids’ WB from January 16, 1999, to August 24, 2000. It followed a theme similar to previous Saturday morning cartoons featuring Looney Tunes shorts (to name just one example, The Bugs Bunny and Tweety Show, which was still airing on ABC at the time). Well, what do you know? According to the clock on the wall, it’s time for some…. 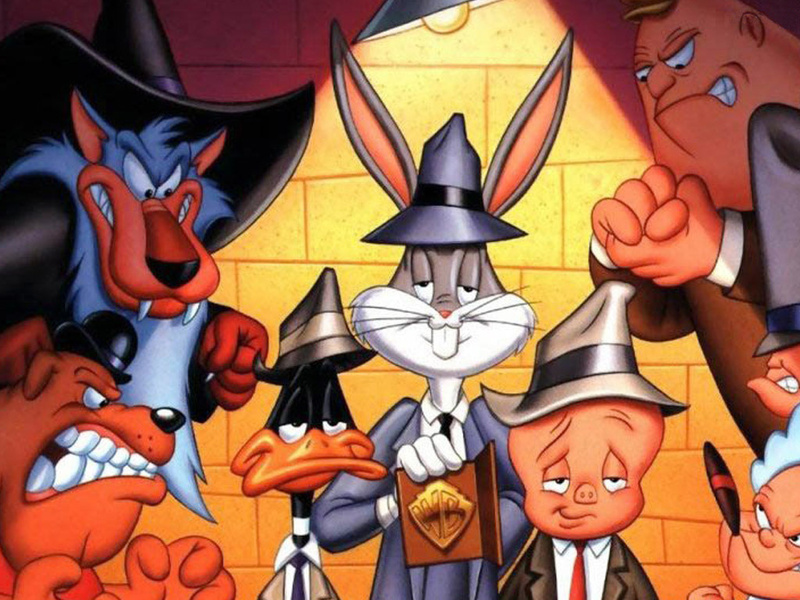 I suppose to kids who were fans of WB toons, this was supposed to be considered the ultimate crossover, a true synergy between Looney Tunes, Tiny Toon Adventures and Animaniacs, as evidenced by that opening and the numerous publicity images featuring various characters representing each franchise, and I might have felt that way too, had Kids’ WB!’s advertising and assembling of the show hadn’t been so made on the cheap. The way they just cut and pasted the images and looped the same animation footage that they were using for every other KWB teaser at the time just made the whole enterprise come off as forced and fake. It might have looked better if say they had made original bumpers and wraparounds for the show featuring characters from the various attractions interacting and engaging in little bits of business, telling bad jokes and doing wacky slapstick and such, all with their actual voice actors, but unfortunately that wasn’t to be, as one could have fit the entirety of KWB’s budget into a thimble. Yeah, I guess Cartoon Network’s City bumps have spoiled me, but then, they’ve spoiled a lot of us. Now back to the article. Originally running for an hour and a half in length, the first four episodes featured Looney Tunes shorts with newly made title cards, as well as short segments originally featured on Animaniacs, The Sylvester and Tweety Mysteries, Pinky and the Brain, and yes, Pinky, Elmyra, and the Brain. But all that changed after the first 4 episodes, when Kids’ WB! 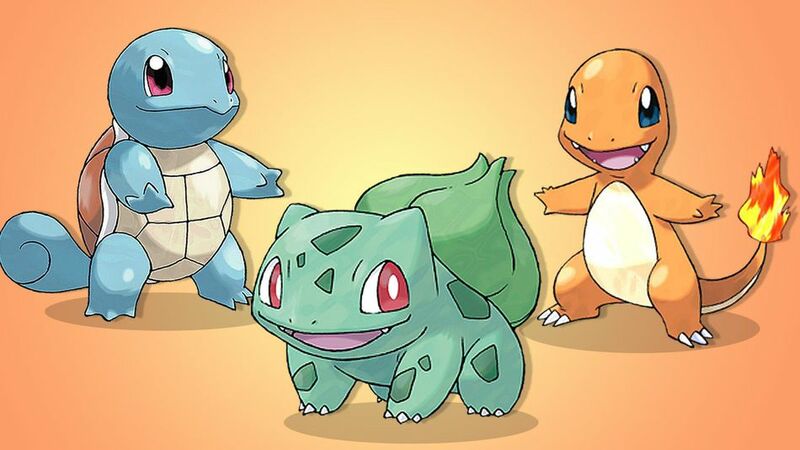 began airing Pokemon on February 13th, 1999, and the “mon” shows and their ilk began gradually taking over the Kids’ WB! lineup. After that, the show was reduced to a half-hour format and showed only Animaniacs and Pinky, Elmyra, and the Brain segments. Notably, it was through The Big Cartoonie Show that most episodes of the latter program were shown, as its low popularity caused it to be swiftly removed from the schedule in November 1998. KWB just decided to exile P,E&tB to the weekend wasteland and burn off its’ remaining episodes there safely out of harm’s way. Despite the fact that most of the show was made up of old material, the show was popular enough to garner a second season. In its second season, the show’s full name was changed to The Cat & Bunny Warneroonie SuperLooney Big Cartoonie Show and featured shorts from Tiny Toon Adventures and Animaniacs. One minor query: I get that they wanted to take the “Cat & Birdy” part out of the title since Sylvester and Tweety Mysteries was no longer part of the lineup, but “Cat & Bunny”? That just sounds weird (OK, weird is a relative term when it comes to this title, but still…) since Bugs and Sylvester have never really shared that much screen time; given the whole Bugs & Daffy connection, wouldn’t it have made more sense to go with “Duck & Bunny”? Come on, Kids’WB!. Are you gonna use that same clip of The Tiny Toons singing “We’re all a little loony ” EVERYTIME you need a group shot?? Sheesh! -Now you may have noticed that many of the lines spoken by Dot Warner in the first opening were given to Babs Bunny in the second opening, putting voice actress Tress MacNeille in the unique position of being called in to replace herself. As you may have also noticed from that second opening, for this season, the show was given host segments starring two noticeably flat animated kids named Karen and Kirby. (Think Henry and June from Kablam! minus the edge.) Speaking of Nick, it’s worth mentioning that Karen was voiced by Cheryl Chase (Angelica Pickles from Rugrats) while Kirby was voiced by Richard Horvitz (Daggett from Angry Beavers, not to mention the title character from Invader Zim and Billy from The Grim Adventures of Billy & Mandy). Great, now I’ve got the mental image of Angelica and Billy hosting a cartoon show together. The Big Cartoonie Show was also now aired on weekday afternoons, where the Looney Tunes shorts were also being featured. But to update the story, presently Kids’ WB! is no more, action cartoons have for the most part fallen out of favor with kids’ network execs and nowadays comedy cartoons rule The roost. Eh-th-eh-th-eh-th…That’s everything we’ve got, people! Tagged: Big Cartoonie Show, Kids' WB! “The Big Cartoonie Show” was the proverbial swan song for the WB/Amblin produced comedy cartoons. “Pokemon” had replaced “Animaniacs” as Kids’ WB’s ‘it’ show and ‘Pokemon’ and the action shows were now dominating the lineup and so all of the WB comedy cartoons were now relegated to sharing in a single program before being removed from the schedule entirely. Interestingly, around this same time, Kids’ WB’s neighbor, Fox Kids had a very similar program running during their block titled “Cartoon Cabana”. It was a Summer series that spotlighted such shows as “Eek! the Cat”, “Sam & Max”, “Space Goofs”, Casper” and Ned’s Newt”,basically all of the Fox Kids shows that would be gone from the lineup come the fall. At least “Eek!” resurfaced (in reruns) as one of the shows on Fox Family channel’s afternoon block “The Basement”. Fox Family was launched later that year. One way that “Cartoon Cabana”, differed from “The Big Cartoonie Show” was that instead of being hosted by flat cartoon characters that looked like they came from a beginning animators starter kit, CC simply video taped human hands with people off screen providing their voices. Man, “Cartoon Cabana”, that thing with the hands. I remember that. Aside from also being a network’s way of rounding up all of their leftover comedy toons before giving them the boot that fall (you’ve gotta love the irony of Fox Kids’ original claim that they’d never air a superhero cartoon then ended up becoming #1 because of them), the main thing that sticks in my mind from CC was this one rainbow gloved hand character who would pop up and sing the Barney “I Love You, You Love Me” song over and over again. This was during an era when every hack comedian and comedy writer thought that just evoking the Barney song was a shortcut to a sure laugh.